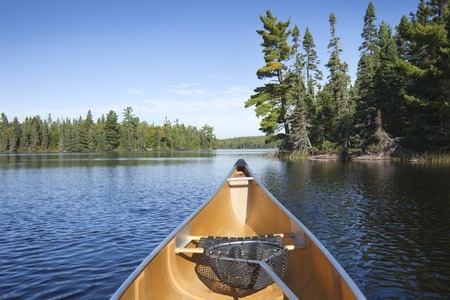 Minnesota is called the land of 10,000 lakes but in actuality that number is closer to 12,000! Truly a fisherman’s paradise, there are more places that one can go and catch a number of different types of fish than just about anywhere else in North America. With an abundance of freshwater lakes, you can go just about anywhere in the state and be only a short distance from one of its rich fishing grounds. Regardless of what kind of fishing you like to do, there are so many options available from fly fishing in local streams or deep water fishing on bordering Lake Superior and everything in between. There are a wide range of variety of fish available throughout Minnesota, so you are likely to find a lake that will suit your specific needs. Many of the larger lakes have amenities that make it the perfect destination for a weekend or longer fishing trip. Even the smaller sized lakes will make for a perfect for a day fishing. According to the Minnesota Department of Natural Resources, the state of Minnesota is broken down into four fishing regions; Northwest, Northeast, Central and Southern. Each of the regions is unique and provides the fisherman with a whole host of opportunities for enjoying themselves. While there are many thousands of lakes, streams and rivers throughout the state of Minnesota for fishing including the Mississippi and its tributaries, the Minnesota and St. Croix Rivers, we decided to include a top 10 list of must-fish lakes that should be on your checklist for your next trip to the region. ● Leech Lake: the 3rd largest lake in the state (112,835 acres) and renowned for having some of the best Largemouth Bass, Muskie and Walleye fishing in the Midwest as well as for its offerings of family fishing vacations, lodges and resorts. ● Lake Kabetogama: located along the U.S.-Canadian border; popular for its pristine water and beautiful shoreline; catches include Smallmouth Bass, Crappie, big Perch and more. ● Lake Bemidji: this 6581 acres lake is stocked with Muskie and known for its monster catches of the specie; great location for boat as well as shores/pier fishing; other species include Lake Whitefish, Rock Bass, Pumpkinseed and Cisco/Northern Tullibee. ● Lake of the Woods: one of the largest lakes in North America, occupying portions of Ontario and Manitoba, Canada as well as Minnesota (307,010 acres within the state); plenty of fishing resorts and lodges; big Walleye, Northern Pike, Lake Sturgeon and other trophy fish. ● Mille Lacs: second largest lake completely within the state’s borders (132,516 acres); year-round family outdoor recreation including chartered Smallmouth Bass, Muskie and Northern Pike fishing trips; also winter ice fishing, mountain biking, hiking and cultural events. ● Lake Vermilion: the 5th largest lake in the state set in northern Minnesota; a midwestern attraction for fishing enthusiasts and families looking for a scenic wilderness getaway. Dotted with over 300 islands of various sizes, the lake boasts of trophy catches of Walleye, Muskie, Bluegill, Largemouth, Smallmouth and more. ● White Bear Lake: good for boat as well as shore fishing with 2 public fishing piers; Walleye are stocked annually and are abundant and are active from late spring through the fall; early summer for Largemouth; ice fishing for Northern Pike and Walleye are also popular in the winter months. ● Lake Waconia: one of the smallest lake on the list (2997 acres) but the largest lake in Carver County, MN; windsurfing, boating, swimming and fishing are just a few of the popular water activities on the lake; outstanding fishing with Bass, Walleye, Northern Pike and big Muskie 50-plus inches in size. ● Red Lake: “Upper” and “Lower” – the largest natural lake entirely within Minnesota at 288,800 acres; popular catches include Largemouth Bass, Bluegill, Bigmouth Buffalo, Redhorse, Goldeye and Black Crappie. 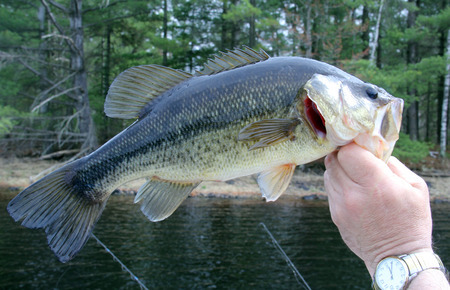 ● Lake Minnewashta: the smallest lake on our list at 738 acres but is one of the top spots in the state; lots of structure and vegetation means good fishing, especially for Largemouth Bass; other catches include nice-sized Northern Pike, Bluegill and Crappie. White Bass, Rock Tie, Bowfin, Burbot, Flathead Catfish, Herring, Freshwater Drum (Sheepshead), Long-nose Gar, Salmon (Chinook/King, Atlantic, Kokanee and Coho), Sauger, Trout (Brown, Brook, Rainbow and Lake), White Sucker, Bullhead, Whitefish, Common Carp, Johnny Darter and American Shad . What Makes Minnesota Such a Great Choice as a Fishing Destination? the state offers a wide range of opportunities for those who enjoy fishing. Whether you like fishing on a lake, river or stream, you will have thousands of choices to choose from in the state Minnesota. No matter what type of fish you like, you will most likely find them in one of the many lakes. With more than 100 different species of fish to choose from within state waters, including some really big Northern Pike and Minnesota’s own state fish, the Walleye – not to mention Muskie topping 50 lbs – the fishing in the land of 10,000 lakes is as good as it gets! With so many diverse lakes and other bodies of water from which to choose and a wide variety of fish available, planning ahead for your fishing trip to this great outdoor state is a good idea. But regardless of the type of fishing you decide upon, finding good fishing spots in Minnesota will never be a problem.